When it comes to guns, there's nothing more important than security. 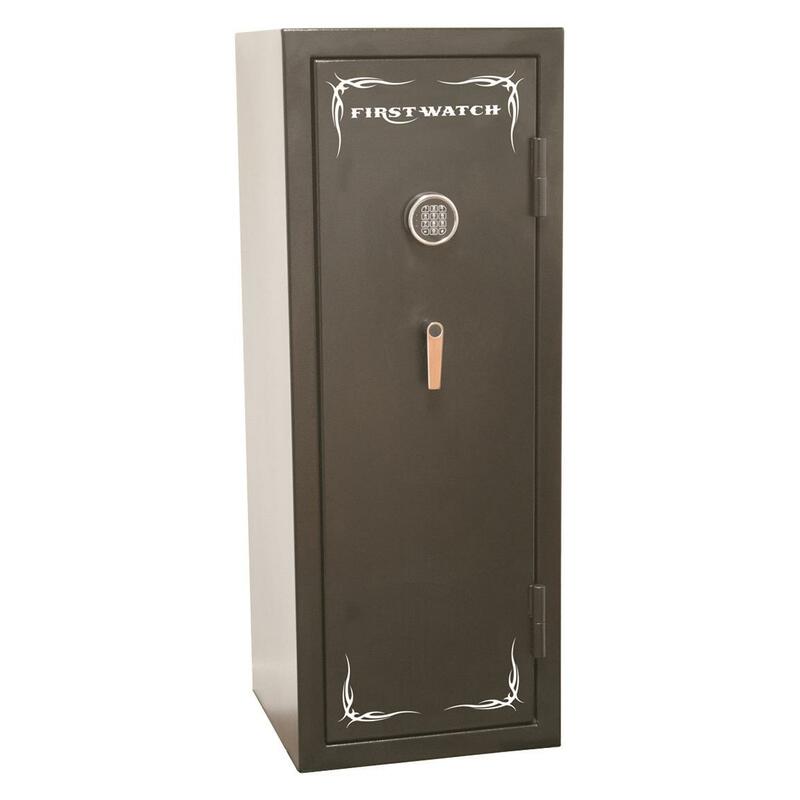 That's why you need this Homak First Watch Black Hills Series Gun Safe to keep your rifles and other firearms locked away from thieves and young children. 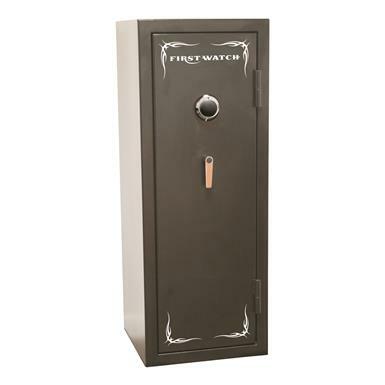 Durable Gun Safe holds up to 14 firearms and is fire-resistant for up to 30 minutes at 1,400°F. 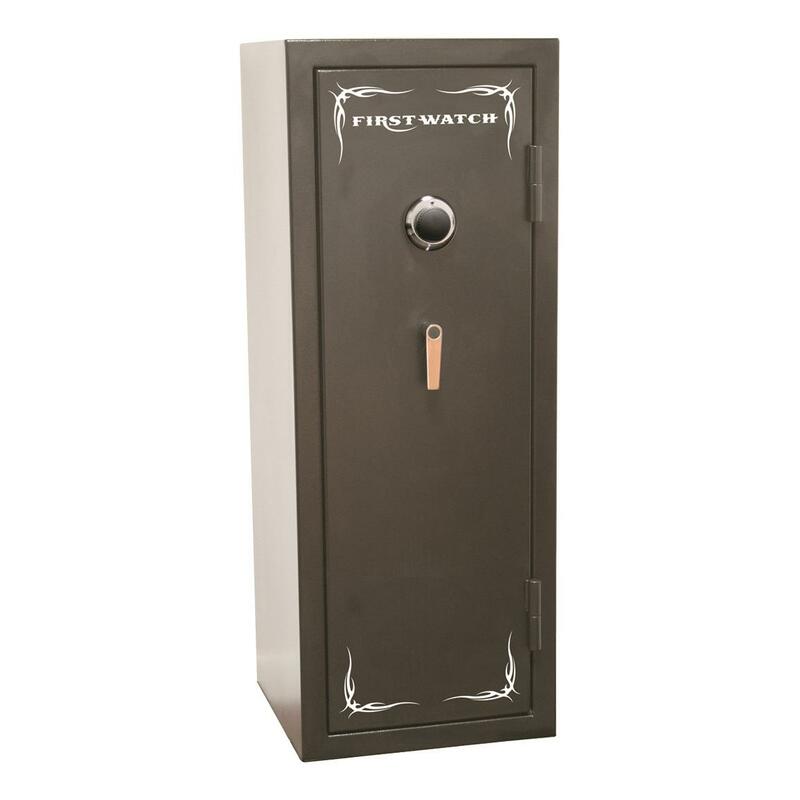 Available with your choice of mechanical or electronic lock. Note: This item is shipped by commercial carrier curbside. Unloading is the customer's responsibility, including off the back of the truck. This product ships in one box, measuring 23"l. x 24.3"w. x 60.6"h. and weighing approx. 260 lbs. No expedited delivery. High-value orders require a physical street address, otherwise insurance costs will be added to the shipping total. Dimensions: 20"w. x 21"d. x 55.25"h.